Posted on March 10, 2017 by thelostlighthouse	in Comics, Literature and tagged Aliens, comics, comics reviews, Copperhead, cops, Drew Moss, Image comics, Jay Faerber, Literature, Ron Riley, Sci-Fi, Sci-fi western, Scott Godlewski, The Lost Lighthouse, Thomas Mauer, TLL, Western. This week’s review is a little late. Give me a break, it was my birthday yesterday! I was excited to see the return of Copperhead this week with issue #11, the first issue since late 2015. Since I reviewed the first issue back in 2014 it has been a favourite of mine, so I’m glad to see it back. 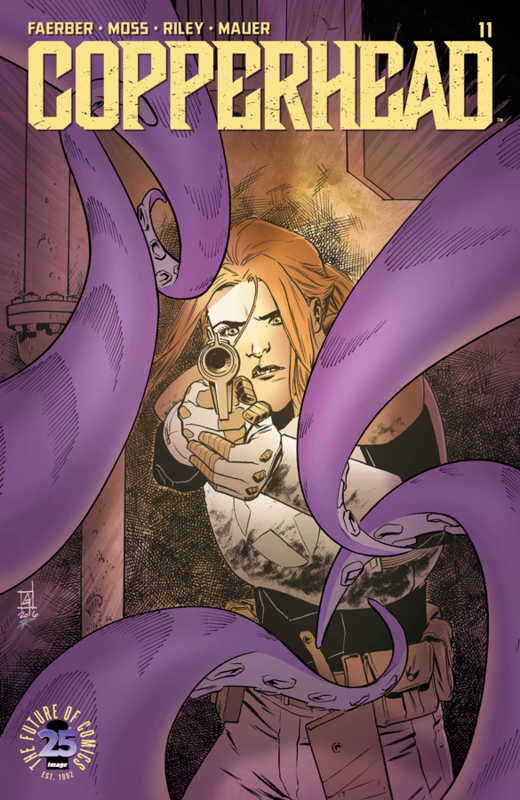 Copperhead was co-created by Jay Faeber and Scott Godlewski, with Faeber on writing duties but Godlewski now replaced by on interior art by Drew Moss (although he is still involved and drew the cover). As with the issues before the break, Ron Riley provides the colour art and Thomas Mauer returns for lettering. For those unfamiliar with it, Copperhead is a sci-fi western set in the town of Copperhead on the planet of Jasper. Clara Bronson is the relatively new Sheriff in town, having moved there recently to start fresh with her young son Zeke. 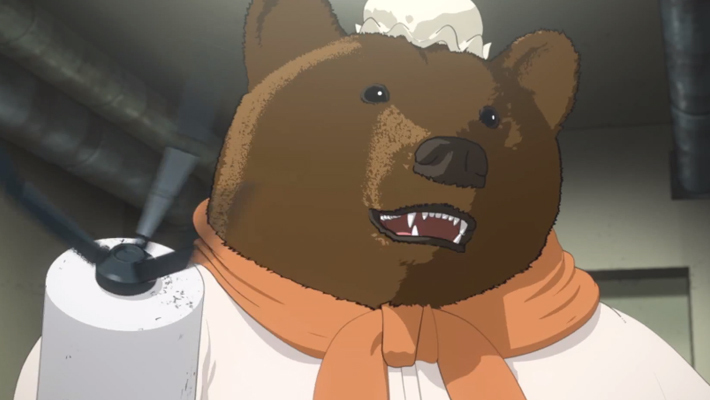 She is joined by Deputy Budroxifinicus (or ‘Boo’), a huge creature who bears a serious grudge against Clara and her position, and while a capable deputy he certainly has plans of his own to usurp Clara’s command. As does everyone else in town it seems. In this issue, Clara and Boo uncover a terrible crime, while someone from Clara’s past arrives with a warning. Whatever, or whomever Clara and Zeke were trying to get away from when they came to Copperhead, they didn’t go far enough. Faeber’s writing in Copperhead has not missed a step in the break, with characters that continue to be intriguing and well developed. Clara is an especially interesting, no-nonsense woman who is utterly unwilling to put up with anyone else’s crap. One of the minor complaints I had with the first issue was that the story moved a little slowly, but while the pace of the overarching plot has continued to be a slow burn I’ve definitely changed my position on that aspect, in fact I think it is one of the series’ strengths. Issue #11 isn’t the most welcoming to new readers, but the first 10 issues have all been collected in two trade paperbacks already for readers to catch up on. The art is a little different with Drew Moss on board, but style-wise it isn’t a big departure and everything looks just as good as before. The different alien races populating Copperhead all look weird and wonderful, and the facial work with the human characters, in particular Clara, is very strong (especially a few close-up shots). Riley’s colours are as gorgeous as they were before the break, evoking an almost washed out desert heat that suits the story perfectly. If you haven’t read any Copperhead up until now I suggest you grab the first two trade paperbacks here and here, then pick up issue #11. Great sci-fi western action with well rounded characters and excellent art. I can’t really think of a better endorsement. Posted on September 28, 2015 by thelostlighthouse	in Gaming, Video Games and tagged adventure games, Aliens, bartender simulation, cyberpunk, cyberpunk bartender action, dystopia, EGX, EGX2015, gaming, indie games, Knee Deep, Megaton Rainfall, noir, Prologue Games, Sukeban Games, superhero, swamp noir, The Lost Lighthouse, TLL, tllgaming, VA-11 HALL-A, video games. Adam and Kii once again head to EGX to check out some upcoming video games! On our second indie focused day at EGX 2015 Kii and I split up to cover as many games as possible. It became pretty pretty obvious that we weren’t going to get to everything, but we tried our best! This is my third indie round up article (find the first two here and here), and I’ll be talking about VA-11 HALL-A, Knee Drop and Megaton Rainfall. This game caught my eye as I was wandering around yesterday, mainly because my love of Ghost in the Shell leads me to gravitate towards anything using the word ‘cyberpunk’. 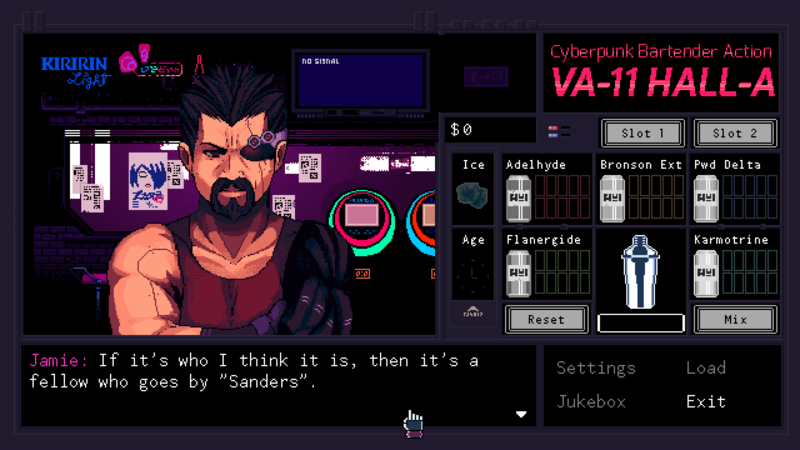 VA -11 HALL-A from Sukeban Games is a ‘cyberpunk bartender action’ game, in which you play as Jill the bartender, as she has to talk to weird customers and mix and blend a variety of different drinks suited to the person’s tastes or mood. After a quick tutorial on how to mix drinks, the demo threw me into dealing with Streaming-chan, a pastiche of a YouTube vlogger who has turned her life into a 24 hour livestream. The interactions are funny and lewd, and the drinks mixing sim mechanics are simple (I did still manage to misread a recipe and mess it up). After a bit of research (see the trailer above) it seems that this all takes place in a dark, oppressive dystopia seemingly revealed through the conversations with those who live in it, rather than through stark plot exposition. That should be a very interesting story telling choice that I think should work really well. You can check out the prologue over here and support the development of the main game too. Over in the Indie Mega Booth I spent a little while watching some people play the Knee Deep demo. One of the developers from Prologue Games kindly filled me in on the details of their game, a demo build of ‘Act 2 – The Festival’, the second of a three episode adventure game series. Knee Deep is a ‘swamp noir’ story set in the small Florida town of Cypress Knee, following the events of the apparent suicide of a washed up Hollywood actor. The story unfolds through the eyes a few characters, with the player picking their responses to different conversations and situations. The small section of episode two that was shown off was brief, just enough to intrigue without giving much away. Knee Deep’s story is presented in the form of a stage play, with an air of overly dramatic conspiracy and noir dialogue that manages to come off as compelling rather than cheesy. Besides an interesting story, the unique element of the game that sold it to me was the way the theatrical elements are incorporated into the structure of the game as if it were an actual play, with set pieces and props moving away as characters transitioned between scenes, and spotlights focused on the lead. 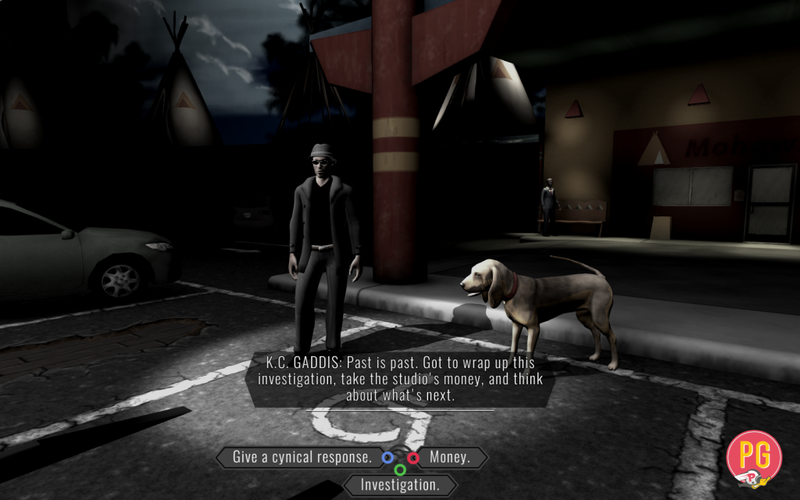 Knee Deep is an intriguing and different game that is well worth checking out. Act 1 is already available on Steam for PC and Mac, with Act 2 coming in November and Act 3 due next year. Finally we have Megaton Rainfall from Pentadimensional Games, a work in progress game that I played over in the Leftfield Collection. This is a superhero simulator, where the player controls an indestructible god-like superbeing attempting to defend the world from alien invaders. Featuring full sized cities, you can fly around at full speed to combat monolithic ships and weapons before they vaporise whole buildings. For a game quite early in development this was very cool. 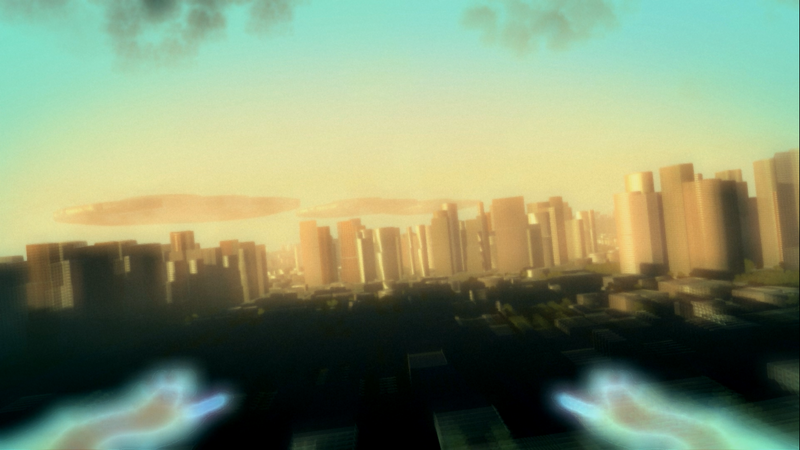 The actual flying controls feel very natural, fast and “realistic” (I know people can’t actually fly…), giving the player the feeling that they are controlling Superman or Dr Manhattan. The enemies and combat are a little simplistic, but the atmosphere of the game was terrific, and presumably even better when using virtual reality (there was a demo set up with an Oculus but it was taken when I wanted to play). Keep an eye out for this one. I’ll be back tomorrow with my final indie games round up article from this year’s EGX. Posted on February 19, 2015 by thelostlighthouse	in Comics, Literature and tagged Aliens, Ben Acker, Ben Blacker, comics, comics reviews, Croach the Tracker, Image, Image comics, J.Bone, Literature, Marshall Dillon, Omi Remalante, robots, Sci-Fi, space western, Sparks Nevada, Sparks Nevada: Marshal on Mars, TAH, The Lost Lighthouse, The Thrilling Adventure Hour, TLL. Shine your astro spurs and don your robot fists! This week I was looking forward to picking up the first issue from The Thrilling Adventure Hour’s Sparks Nevada: Marshal on Mars series from Image comics. I only started listening to The Thrilling Adventure Hour podcast fairly recently, having got about halfway through the backlog that has built up over the last few years. For those who don’t know, TAH is a stage show in the style of old-time radio. Regular performers are often joined by cult guest stars to deliver various hilarious stories, and the shows are recorded and uploaded for podcasts. There are several regular series, all of which are very funny, but Sparks Nevada is my favourite (mainly because I love a space western). Now it has been translated (not for the first time I think) into a comic book series from Image, with another of the stage shows Beyond Belief coming soon too. As with the show itself, Sparks Nevada: Marshal on Mars was written by Ben Acker and Ben Blacker, with art by J. Bone, colours by Omi Remalante and letters from Marshall Dillon. Unsurprisingly, as Acker and Blacker write the actual show, the comic is spot on for exactly what I expected in both story and dialogue. The situation is ridiculous and funny, with nothing being brought up as silly, rather it is just the way things are in the 31st century on the martian frontier. The characters’ back and forth, particularly Nevada and Croach, was so perfect that all I could hear were Marc Evan Jackson and Mark Gagliardi, the actors who play them in the shows, with every turn of the page. Nevada is brash and Croach condescending, as they bicker mid gun fight for no reason at all. J. Bone’s art is very cartoonish, fitting very well with this type of fun, over the top story. Oddly, I thought Nevada looked very much like Matt Smith’s Doctor, especially later on when he took to wearing long coats and occasionally a Stetson. The action is dynamic and colourful, and even basic facial expressions are great at establishing the sardonic tone of what the characters are saying. This was a tight, hilarious first issue of Sparks Nevada: Marshal on Mars. I can’t wait for more, and if this is the quality I can expect then I’m definitely going to check out Beyond Belief when it comes out too. If you like space westerns, laser fightin’ and robot fists, pick this up from your LCS or digitally. Also definitely check out The Thrilling Adventure Hour podcast, because it is excellent. 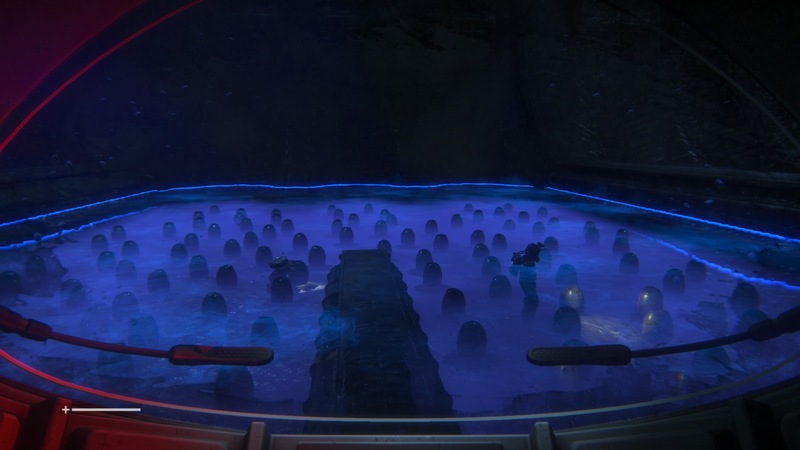 Posted on November 26, 2014 by thelostlighthouse	in Video Games and tagged AI, Alien, Alien Isolation, Aliens, Amanda Ripley, Creative Assembly, films, gaming, horror, next gen, Prometheus, PS4, Ripley, Sci-Fi, Sega, Sevastapol, Sony, Survival Horror, synthetics, The Lost Lighthouse, TLL, tllgaming, video game reviews, video games, Weyland-Yutani, Xenomorph. Adam infrequently reviews games weeks after they are released because he has a job and can’t complete them fast enough. Potential spoilers included. Last month I finally moved on to a next-gen console, as two games I had been looking forward to all year finally came out. 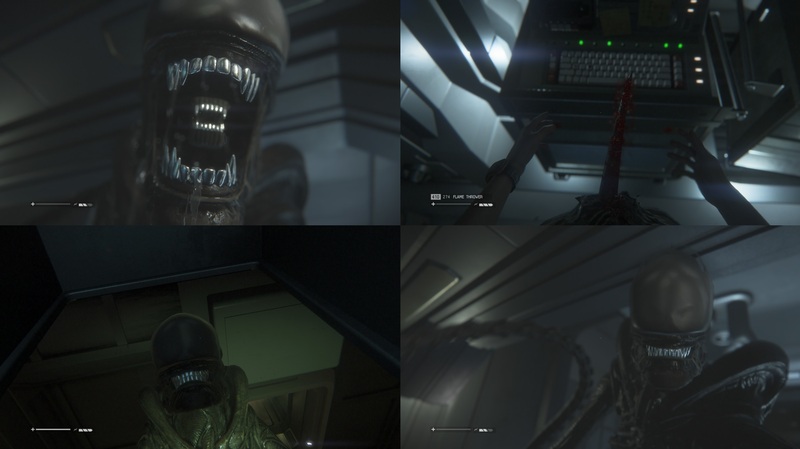 Alien Isolation was the first of these games, and one that has proved fairly divisive with regards to various review sites and their opinions on the game. I finished it a couple of weeks ago, taking a bit longer than I usually would with a game and then struggling to find time to write up what I thought about it due to currently having a huge workload (I miss the days of having a job that I could leave at work). Anyway, here are my somewhat belated thoughts on the game. 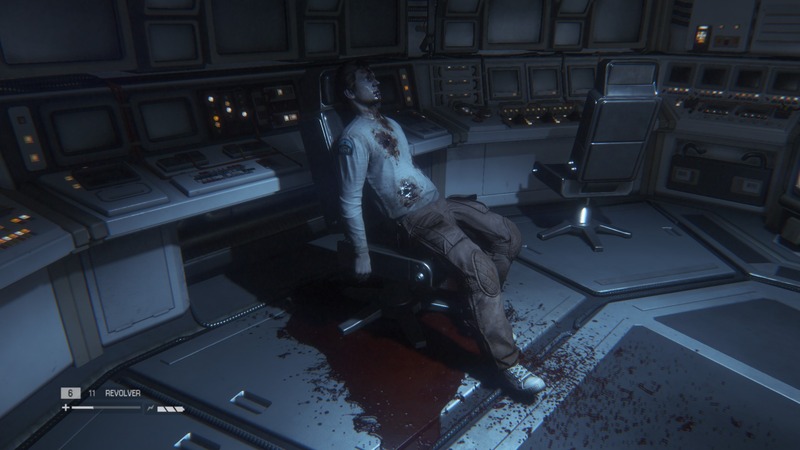 Alien Isolation takes in the year 2137, fifteen years after the events of Ridley Scott’s Sci-Fi horror classic Alien. You play as Amanda Ripley, daughter of the film’s main character Ellen Ripley, as she searches for answers to what happened to her mother and the crew of the Nostromo all those years ago. This search takes her, as part of a team from Weyland-Yutani, to the space station Sevastapol, where a recent salvage ship has brought aboard a flight recorder from her mother’s craft. By the time Amanda arrives however, things have gone awry. The station is in chaos, with a relentless and murderous lifeform on the loose, leaving the remaining populace scared and violent and the station’s AI ordering it’s creepy synthetics to enact strict quarantine rules that largely revolve around choking people to death or dashing their brains out against a wall. Amanda must find the flight recorder, reunite with the rest of her boarding party and try and reconnect with the Torrens, the ship they arrived on, all while trying to avoid the xenomorph, the ‘Working Joes’ and the looters. This takes you through the whole of Sevastapol, and in standard video game style you are beset by as many set backs as possible. Every time you find an ally they are liable to be murdered horribly, every time you try to use a machine it is broken or on low power, and every time you trust Weyland-Yutani and their high level employees… well, if you’ve see the films then you probably know where their priorities lie and it isn’t with the preservation of human life. Your first encounter with the iconic xenomorph is a tense experience, and it marks the start of a lot of heart-in-throat sequences as you try and creep around without it hearing or spotting you, with absolutely nothing you can do to actually kill the damn thing. If it gets you, that is it. Game over man. There are no autosaves or checkpoints either, so saving regularly is very much necessary (you can be killed while saving) and if you find that you have made a lot of progress and haven’t saved in a while, an encounter with the alien becomes that much more stressful. And ‘stressful’ is really what this game is, especially at the start, because you creep around hiding in vents or cabinets, slowly making progress (I noted at one point that I had made it through four rooms in two hours) and then you make a mistake and pay for it. As everyone else seems to have noticed, you die. You die a lot. Supplies are very limited, and whatever tools you do have are merely distractions. 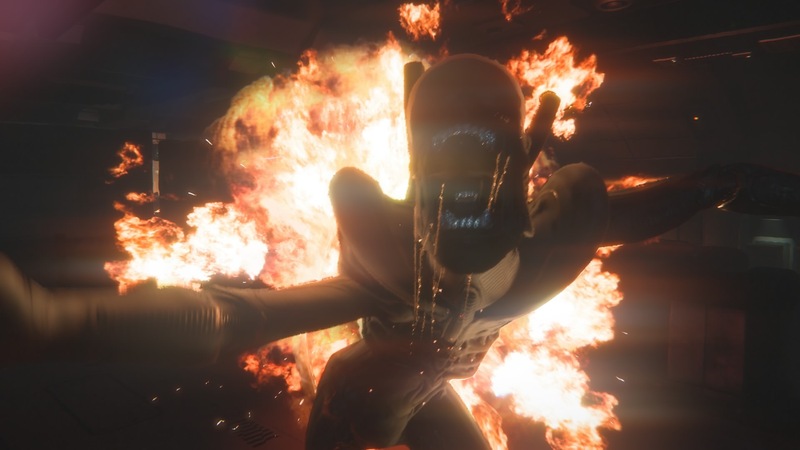 Even the limited firepower you do get either doesn’t faze the xenomorph (revolver), stops him very briefly until you have to reload (shotgun) or makes him scuttle away temporarily (flamethrower). Making any noise when encountering other enemies just brings him roaring back, so guns are redundant for a large portion of the game. The motion detector actually manages to up the stress element in a big way, not only because the proximity beeps come out of the speaker in the controller, but the noise actually attracts the very monster you are trying to detect. It is a useful tool for figuring out how far away he is, but later in the game I all but abandoned it in favour of suicide runs clutching the flamethrower. Suicide ‘runs’ is misleading, as I spent almost the entire game crouched. Suicide sneaking? Suicide waddling? Suicide something. A lot of the criticism levelled at this game centres around the difficulty and repetitiveness (also that the campaign is too long, which I completely disagree with). The first point I think depends on how casual a gamer you are, because I imagine the difficulty and punishingly unpredictable AI would turn many away. I’m fairly stubborn, I can probably count the number of games I have started and haven’t completed on one hand, and they were probably all due to boredom rather than failure to complete them. I’m not saying I’m particularly great at games, I’m saying I don’t have a lot going on and will happily plug hours into doggedly retrying boss fights. 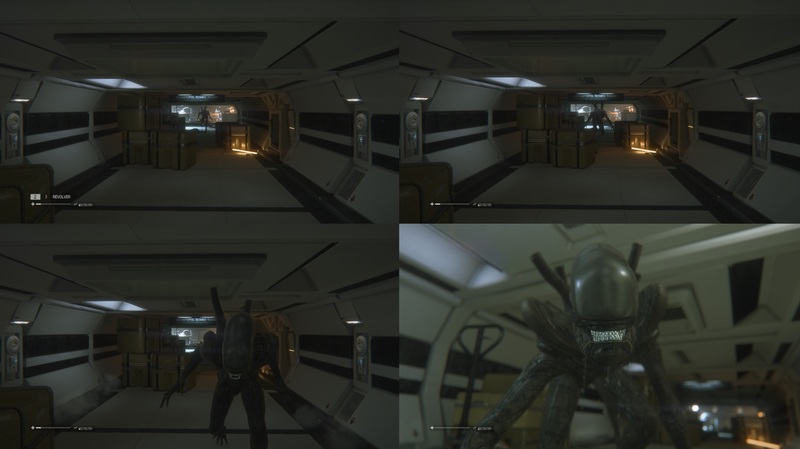 The issue with the xenomorph is that the AI is (usually) very clever and acts differently each time, so you can’t really use trial and error to get round him if you fail. I can see why this would frustrate people, especially as there are times where it seems like you’ve done nothing wrong, but I personally quite liked the challenge. The first few levels are pure suspense, but maintaining that level of stress for too long isn’t the most enjoyable experience. This is when the repetitiveness does start to close in, but when you get the flamethrower you can afford to be a little less careful and gameplay starts to speed up. Then comes the obligatory story section when you are rid of the alien (definitely not temporarily), where you get to play as a different character as he tells Ripley how they found the Nostromo beacon, about his team’s excursion down to a familiar looking planet and encounter with alien lifeforms which went pretty badly. It’s like Prometheus, but not terrible. You then have to turn your attention to the station in turmoil, the APOLLO AI and the legions of creepy Working Joe synthetics who are also trying to kill you and everyone else on the station. This serves as a very welcome break in the stealth and hiding aspect of the early game, coming in just before I actually started to find it repetitive. You get a decent few hours when you can actually use all your loud weapons, that earlier would just bring about your grisly doom within seconds. 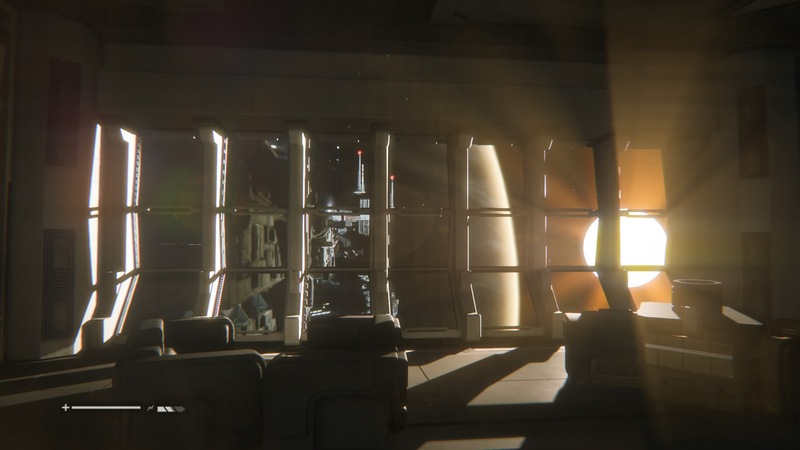 At it’s core, Alien Isolation is basically a love letter to the first Alien film. The atmosphere is haunting and perfect, and the retro–futuristic environments completely nail the aesthetic of the film series. The feeling of helplessness, particularly in the first half of the game, sells the terrifying aspect of the creature you are facing, making him a credible threat rather than something you can just take apart with enough bullets. Amanda Ripley is an interesting and driven character, much like her mother despite the terror she finds herself in. Most of the supporting cast are decent in their own ways too, though a few fall a little flat as merely ‘next person to die’ fodder. The story is strong if a little predictable, but that stems really from the medium of video games and the need for a certain length of experience. The number of times your best laid plans fall apart becomes a little comical, and the Alien is constantly with you and no one else. Maybe it wants a hug and you’ve just misinterpreted it’s actions. Regardless, it would probably seem out of place if his hunting pattern was so truly random that you didn’t see him all game. One of the only issues I actually had with the story in fact, was that knowing the eventual fate of Amanda (revealed at the start of Aliens), you know that she will ultimately survive this experience and so having any sort of cliffhanger ending doesn’t really mean a lot. Unless of course, you factor in the fact that historically Weyland-Yutani have been fast and loose with the truth. Then her whole potential future becomes completely open. So long as it doesn’t get to Issac Clarke levels of ‘wrong place, wrong time’, I’m on board for seeing where her story goes. It may have been because this was the first time I played through an entire game on a next-gen console, rather than a few demos and snippets with friends, but I found the gameplay incredibly smooth while playing this. There were very few instances of the game glitching, aside from a couple of time when guns were either floating above or in corpses, and a few times where the alien acted like a T-Rex and couldn’t see me because I was perfectly still and yet metres from his face, but these were hardly game-breaking. Graphically I thought this looked great. There were some choppy framerate issues in the early cutscenes, but I think this was because the game was actually still installing when I started. Other than that, the surroundings were gorgeous. If this is early next-gen/cross-gen graphics, I can’t wait to see what we get in a couple of years. Though at that point we may be so far into the valley of the uncanny that even playing sports games and dating sims will be terrifying. 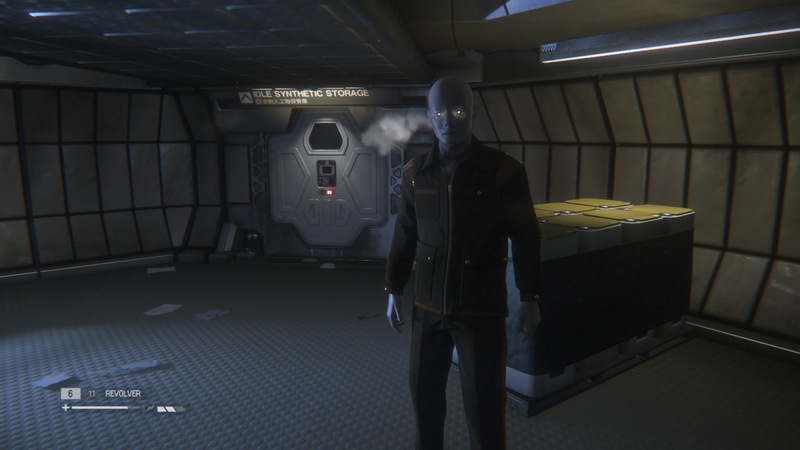 Creative Assembly and Sega have made a truly faithful Alien game. I really enjoyed it, and if you are a big fan of the Alien franchise then I really recommend you pick it up, with the caveat that it is fairly challenging and pretty scary and stressful for most of the game. I know there are some who find that when the horror is actually happening to a character you are controlling, rather than passively to a character on screen, it feels too real and much scarier. If survival horror is your sort of thing though, this is a great alternative to the standard zombie-fare that usually comes along with that genre. You’re never wanting for revolver ammo in the game, but you also never want to use it and barely need to. This was in fact probably the closest to true survival horror I have played in years, and that was exactly what I was hoping for. Posted on September 11, 2014 by thelostlighthouse	in Comics, Literature and tagged Aliens, comics, comics reviews, Copperhead, cops, Deadwood, Firefly, Image comics, Jay Faerber, Literature, Sci-Fi, Sci-fi western, Scott Godlewski, The Lost Lighthouse, TLL, Western. This week, along with the couple of other creator-owned titles and a few of the Futures End issues (of drastically varying quality) from DC’s September event, I picked up Copperhead #1 from Image Comics, written by Jay Faerber, with art by Scott Godlewski, colours from Ron Riley and letters by Thomas Mauer. Copperhead is a sci-fi western (I love a sci-fi western) set in the titular town on the planet of Jasper. Our main character, Clara Bronson, is moving to Copperhead to start a new life with her young son Zeke. Taking up the recently vacated Sheriff’s position (or ‘Sherif’), Clara and Zeke are greeted by her surly Deputy Budroxifinicus (or ‘Boo’), one of many of the various species living in Copperhead. They soon head out to a domestic disturbance, where Deputy Boo doesn’t really help, and return to the station to find the local mine owner and his artificial human bodyguards, seemingly running some form of racket (and whose dialogue, I’m pretty sure, is impossible to read in anything but a sleazy Southern accent). Before Clara and Zeke can settle in to their new home that evening, Boo calls reporting a murder that she has to head out to investigate. And Zeke suffers from Carl Grimes syndrome, because he doesn’t stay in the damn house when he is told to. The story is interesting, if a little slow in building the groundwork for the world and the characters. The basic premise is good though, like a cop show but set in a desolate frontier town in the middle of nowhere. In a letter at the back, Faerber describes his original idea as ‘Deadwood in space’, which is pretty accurate. The dialogue is strong, and a few pieces are teased about Sheriff Bronson’s past and a presumably fairly large and possibly interplanetary war that ended at least relatively recently. The art was great, with the sand-blasted barren Copperhead looking bleak and bringing out the varying colours of the different species. The night-time scenes at the end of the issue were particularly vivid and gorgeous despite being a little gruesome. It actually reminded me of Fiona Staples’ art, with the alien creatures and locales blending perfectly with the humans mixing in with them. This felt like it could have been set on a planet in the Firefly universe if there were a few alien species (and not just Dead Bessie), and for that reason alone I was bound to enjoy it. The story, while a slow burner, is intriguing and I liked all the characters a great deal. Check this out in your local comic shop, or digitally with your recently unveiled pointless watch phone or whatever. Posted on July 18, 2014 by thelostlighthouse	in Podcast, TLL and tagged Alien, Alien 3, Alien Resurrection, Aliens, Arrow, Bioware, comics, DC comics, Doctor Who, films, Fire Emblem, gaming, horror, Marvel, Mass Effect, Nintendo, Smash Bros., The Lost Lighthouse, theweeklyrapture, Thor, TLL, tllpodcast, video games, Wii-U, Zombies. Welcome back to The Weekly Rapture, brought to you by The Lost Lighthouse. This week we chat about the best weapon for a zombie apocalypse, new Smash Bros. characters, Bioware looking for fan feedback for ME4 and possible DC/WB missed opportunities, while Gary reveals he is an awful geek and Adam tries and fails to make a salient point about the best way to promote gender and race in comics. The main talking point this week was the Alien series. We discuss the films and what we love and hate about them, and how excited we are for Alien: Isolation later this year and that original Nostromo crew DLC coming too. We also try really hard not to be too negative about Prometheus again.